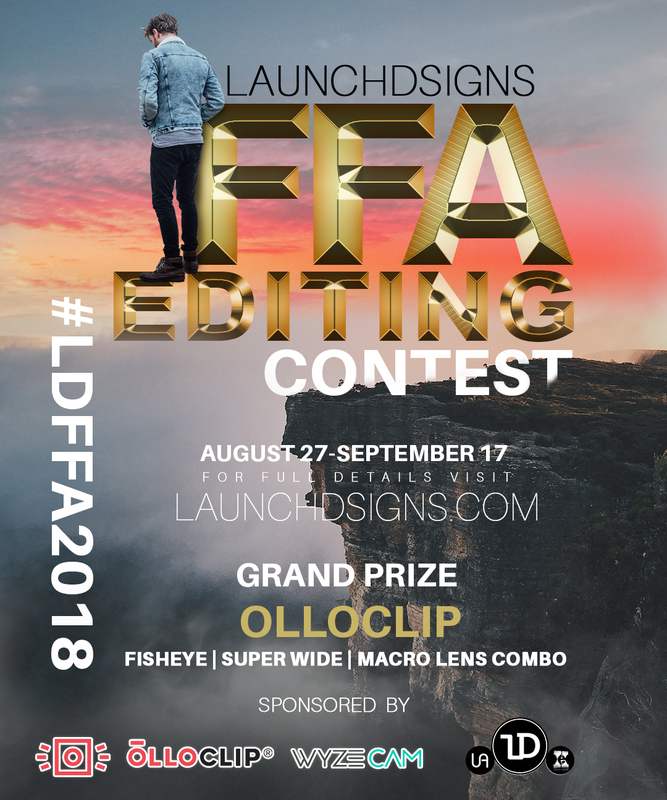 In conjunction with @theuniversalart and @xceptionaledits, @Launchdsigns @Instagram account is hosting an editing FFA (FREE FOR ALL) Contest that will above all else foster creativity. The contest is sponsored by @olloclip and @wyzeCam. The top three winners will receive awesome prizes for their hard work. Dust off your editing skills and enter our editing contest because you won’t want to miss these great prizes. Visit our Instagram account today. • Download and edit the images from the link posted in their bio. • Use only the images supplied on Dropbox (). 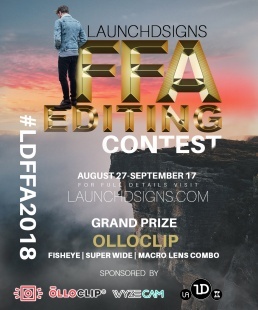 • Tag #LDFFA2018 in the comments. • Must tag individual photographers on the photos used. • You must follow @olloclip @wyzeCam and @launchdsigns .